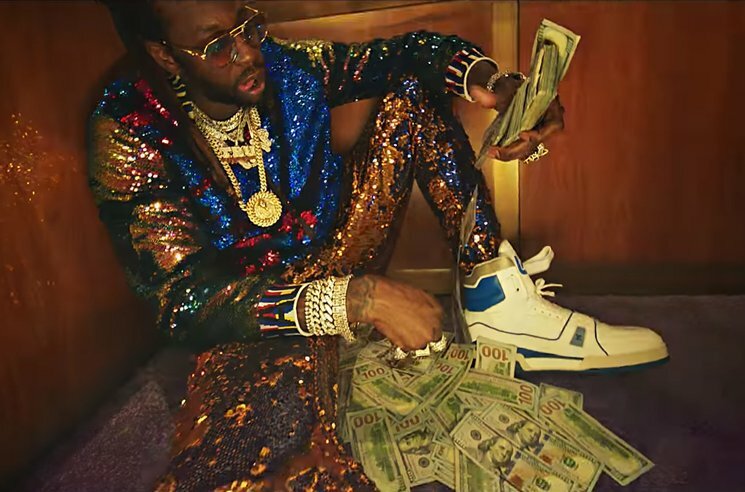 Days after dropping off his Rap or Go to the League album, 2 Chainz has shared a new video for "Money in the Way." The Vincent Lou-directed clip finds Chainz travelling through time in an elevator; from which he witnesses a civil rights protest, a robbery, the birth of a child and more. You can take it all in with the player below. Rap or Go to the League is out now and features Kendrick Lamar, Ariana Grande, Travis Scott, Chance the Rapper, Lil Wayne, Ty Dolla $ign and more.